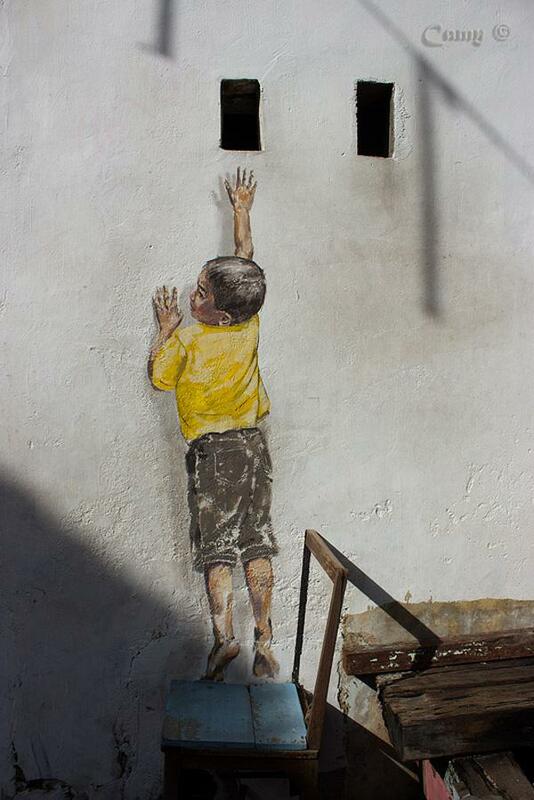 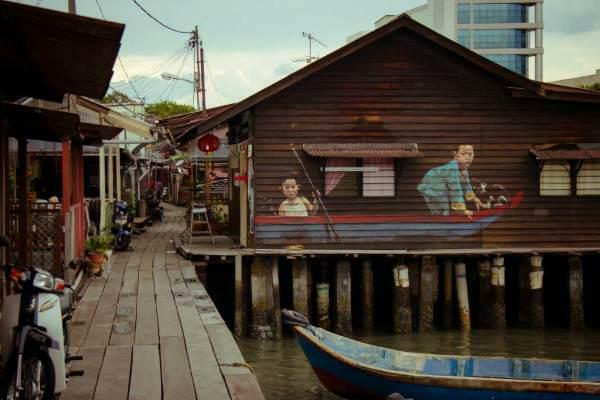 Ernest Zacharevic is a young Lithuanian artist, whose life path took him, over UK, to Malaysia. 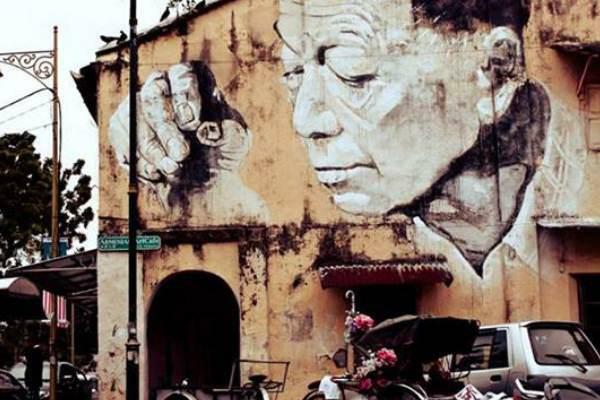 He fell in love with the city of Penang, where he creates series of murals, vitalizing walls of the old part of the city George town. 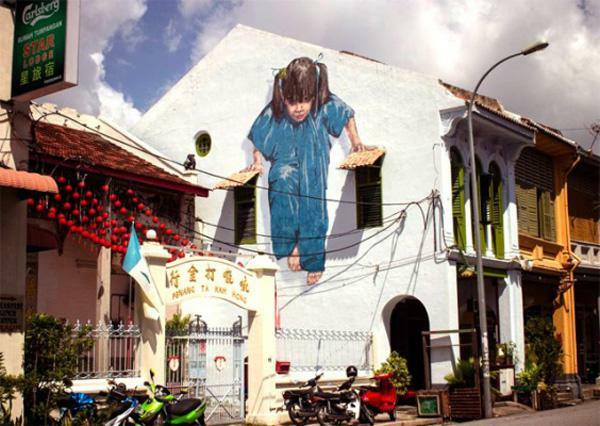 These iconic pieces have also become enormously popular across the city. 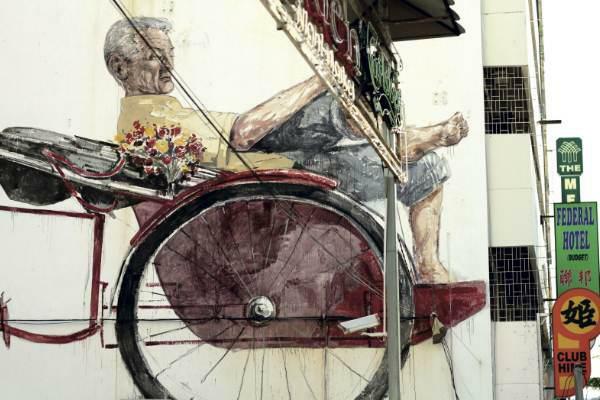 ‘The trishaw’ at Jalan Penang, George Town. 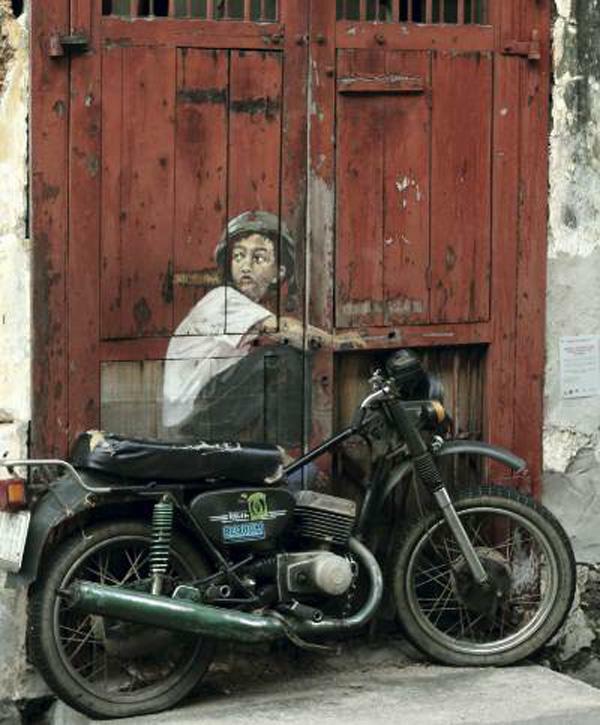 ‘The old man’ at Armenian Art Cafe, Lebuh Armenian, George Town. 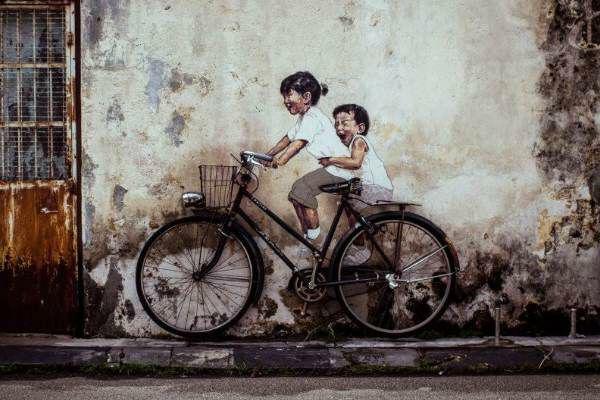 ‘Little children on a bicycle’ at Lebuh Armenian, George Town. 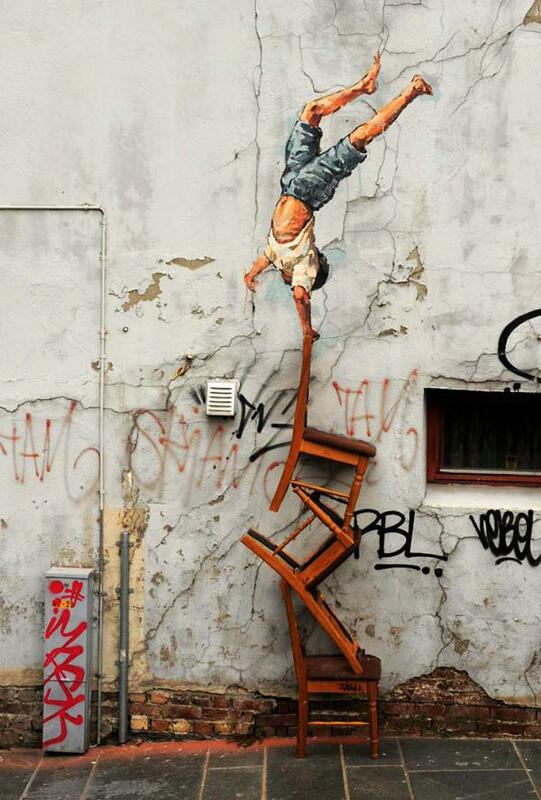 ‘Boy on a chair’ at Lebuh Cannon, George Town. 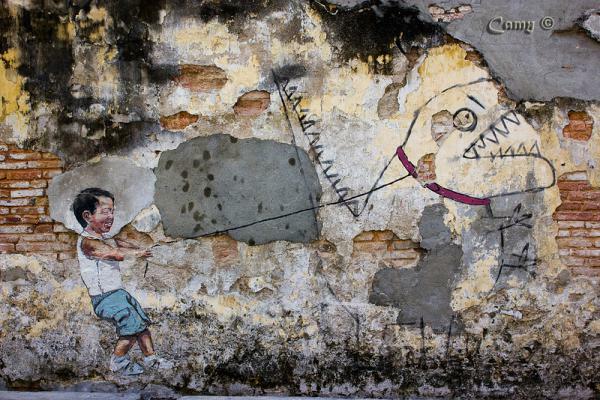 ‘Little boy with a pet dinosaur’ at Lebuh Ah Quee, George Town.